The JJ KT77 have crystal clear 3-D cleans, extended lows and highs. This KT77 has very thick articulate breakup. 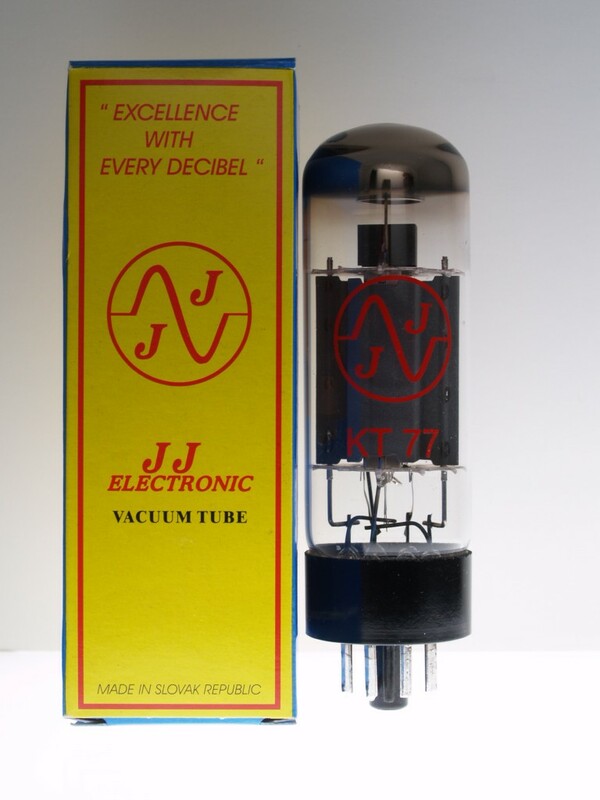 For the most part, the JJ KT77's will bias up same as an EL34/6CA7. As always, please check with your amp tech before swapping different tube types.